Declared as a World heritage area by UNESCO in the year 1981, Great Barrier Reef is nature's bountiful wonder, blessed with the world's largest coral reef ecosystem. It is the only live natural collection that is apparently visible from the earth's orbit. The Reef is larger in size when compared to the Great Wall of China. The attractiveness and splendor of the Great Barrier Reef both from above and underneath the water's surface has made it the most attractive tourist destinations of the world. More than 1.8 million visitors visit the Great Barrier Reef every year. The reef has plenty of marine life and includes more than 3000 individual reef systems and coral cays. The Reef also has hundreds of scenic tropical islands that have few of the world's most stunning sun-bathed, lovely beaches. The Reef is spread over an area of 345,000 sq km parallel to the Queensland coast, starting close to the coastal settlement of Bundaberg going upwards off the tip of Cape York. The reef is a collection of radiant, stunning coral that gives offers divers enthralling underwater feel. The Great Barrier Reef is the biggest marine Park in the world. The Reef's coral gardens when observed in close vicinity reveal several amazing underwater features comprising the world's largest collection of corals (more than 400 types of corals), mollusks, rays, coral sponges, dolphins, about 20 species of reptiles like sea turtles, giant clams, 1500 species of tropical fish and about 200 species of birds. Few parts of the Great Barrier Reef are more than 18 million years old. Fringe reef: This reef is seen off the coast of islands and alongside the mainland. Platform or patch reef: They are patches of corals that surface from the continental shelf till the Queensland coast. Ribbon reef: These reefs run like “streamers”, they are thin, long and run on the outer edge of the reef. They can be found only in the northern part of Cairns. The Great Barrier Reef is located off the east coast of Australia in the Coral Sea. The Reef spreads from the south of the Tropic of Capricorn off the Queensland coast to Torres Strait in the north. The reef extends over a stretch of about 2000 km thus giving visitors several entry spots. Multiple entries are available in both the upward and downward directions of the Reef. Approach for the Reef from the south lies 300 km away from the coast. Northward approach for the Reef can be made from Townsville or Cairns. Cruise ships - The easiest access to the Great Barrier Reef is through the cruises that operate regularly. Cruises to the Reef start from main towns/cities on the north Queensland coast. Cairns is a popular starting point on the north Queensland coast. Dive operators - Dive operators take tourists to the spot from where they wish to dive and explore the Reef. Tourists generally explore the outer Reef where ribbon and platform reefs are common but there are lots more fringing reefs to explore near the mainlands. Lizard Island: The scenic beauty of this island is breathtaking and holds tourists rooted spellbound. The spas in this place are a popular draw with visitors. Whitehaven Beach: This serene secluded beach attracts visitors. Lady Musgrave Island: This Island is packed with all types of water adventure games. Green Island: Soak up the awe-inspiring beauty of the place and enjoy the hot springs. Turtle point golf course at Laguna Quay's resort: Golfers throng this place for a game of golf amidst nature's spectacular setting. This place is located on the White Sunday Island. Fraser Islands: Lake Birrabeen, Lake McKenzie and The Wangoolba Creek are the main tourist attractions of this island. In the northern part of the island a place called Waddy point is a wonderful spot to visit. Island resorts: Island resorts on all these islands draw scores of tourists every year to the Great Barrier Reef. Stay at a scenic spot and access the Reef with ease. Day trips to the reef: Day trips to the Reef are organized from Port Douglas and Cairns. The total time for the trip is two hours and they charge around US$ 200. Few operators give live aboard options, where the visitor spends two nights and three days on the boat. They charge around US$ 500. Airplane and helicopter scenic joy flights: They take visitors around and show them the reef from the air. The Great Barrier Reef looks majestic when seen from great heights. 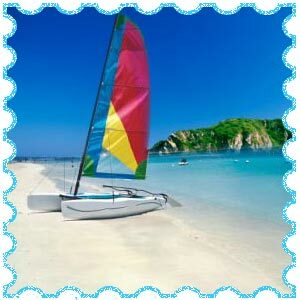 For snorkeling and scuba diving tourists have to sail to the Reef and anchor in a suitable place. Divers have to be cautious while getting into the water; they should always keep their companions and crew members informed about their underwater plans. Visitors should request their companions to notify the crew if they have not returned for long. 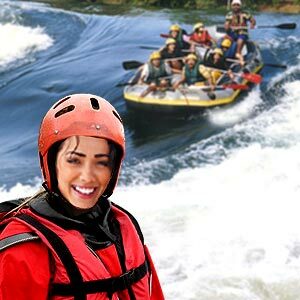 The waters can get dangerous if you are left behind alone as visitors have gone missing in the past. For people who would want to have a view of the coral reef without getting into the water they must choose either of the above choices. Fishing is allowed only away from the protected areas of the Reef and is not allowed in the protected areas of the Reef. Various transport options are available to the Reef from the coast of Queensland. 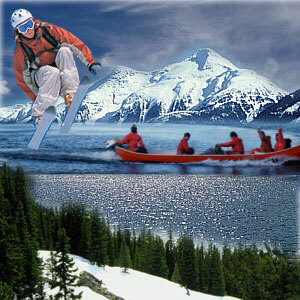 Private light aircrafts, commercial airlines, helicopters, catamarans and any kind of seaborne vessel serve this area. Port Douglas, Cairns, Mackay, Gladstone, Bundasberg, Townsville, and Shute Harbor are prominent points to jump-off to reach the Reef. Tourists can reach the Reef from Gold coast, and Brisbane while enjoying the best scenario. There are airlines serving Hamilton islands and Lizard islands from Sydney, Brisbane, Cairns, and Melbourne on a regular basis. Train services are also available on the Brisbane-Cairns route. The high season at the Great Barrier Reef is from June to October though there are tourists visiting this place all through the year. For divers and underwater enthusiasts August to January is the best time to visit as the water visibility is at its best then. A fee of US$ 3.60 (reef tax) is collected from all visitors to visit the Great Barrier Reef. 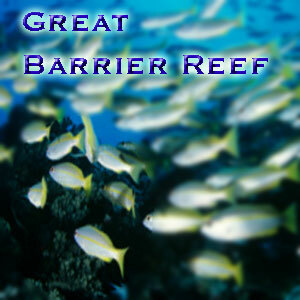 Accommodation is available in plenty in the Great Barrier Reef. There are island resorts, bead and breakfast options and farm stays. First Published Date: Jul 17 2006 Last modified Date: April 25 2019 This page may have been updated recently as new information is available or the content may have been edited for better readability.